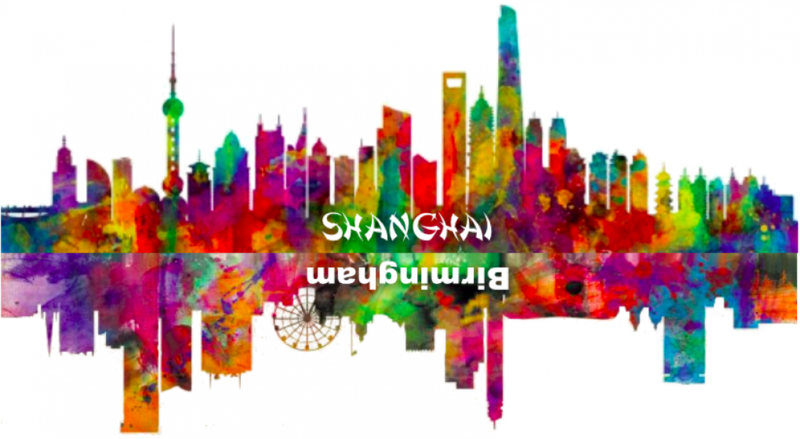 Each year, around 70 teachers from English schools, two from each Maths Hub area, travel to Shanghai in the autumn term and, later in the school year, host their partner teachers from Shanghai for a two-week visit in their schools in England. This is part of a national project, funded by the DfE to look at the effectiveness of the Shanghai maths teaching approaches and how well the approaches can work with English children in English schools. Here at Cedars we have been implementing some of these approaches for some time and, as a result, we are beginning to see our children developing a deeper understanding of maths that will serve them well in the future. Our very own Miss Glendinning will be representing the Central Maths Hub Primary Mastery Specialists and she will be sharing her experiences in this blog. Two Shanghai teachers will be based together in a single host school for the duration of the return leg visit. This year, the host school for the West Midlands is Cedars Academy. Teachers from across the midlands will get the opportunity to experience and observe first-hand Shanghai teaching practice in an English KS2 classroom. More Shanghai Lessons at Cedars! Yesterday 4AS had another multiplication lesson with Mrs Liu. In this lesson they were multiplying a 2 digit number by 1 digit using partitioning. At times the lesson got a bit tricky but the children never gave up and learnt how to use the method Mrs Liu has showed during the lesson. On Friday 4AS took part in the third open lesson. The children learnt about multiplying a one digit number by a multiple of 100. Mrs Liu and the teacher were excellent. Afterwards there was a discussion with the teachers who had observed and they were impressed with the strategies Mrs Liu used and thought the children were fantastic. Day Two of Open Lessons with 3 AP! Today Mrs Huang taught 3AP about different games that could be played with the place value grid. The children were excellent at explaining things to Mrs Huang and it was great to see how the children’s understanding was deepened as the lesson progressed. Wow! Today we had our first showcase lesson in the hall for around 80 teachers from around the Midlands. We reviewed the multiples of 10 and 100 and the patterns between them. Again, Mrs Lui used lots of pictorial representations and we did lots of chanting together. We enjoyed helping Mrs Lui showcase Shanghai’s style of maths lessons to the visitors. This morning 3AP enjoyed their second maths lesson with Mrs Huang. We reviewed multiples of 10 and 100 and used these to help us answer addition and subtraction questions. Today we had our first maths lesson with Mrs Lui. We reviewed multiplication by exploring lots of pictorial representation. We looked at the pictures carefully and created matching addition and multiplication calculations. We completed our independent practice in short bursts and reviewed these together with Mrs Lui. We are excited and a little bit nervous for our first showcase lesson tomorrow! This morning 3AP enjoyed their first Shanghai maths lesson. We learnt about multiples of 100 and how they can help us solve addition and subtraction questions. For example, if we know that 3 + 2 = 5 then we also know that 300 + 200 = 500. Take a look at our lesson below.